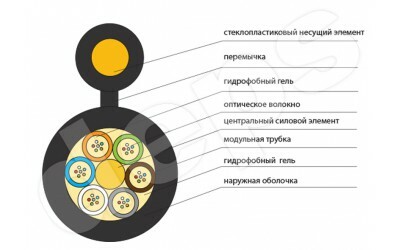 The cable with 6 optical modules/tubes , which are wound around a central strength member, which may contain up to 36 optical fibers. 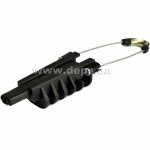 Voids between the optical modules are filled with hydrophobic water blocking compound. 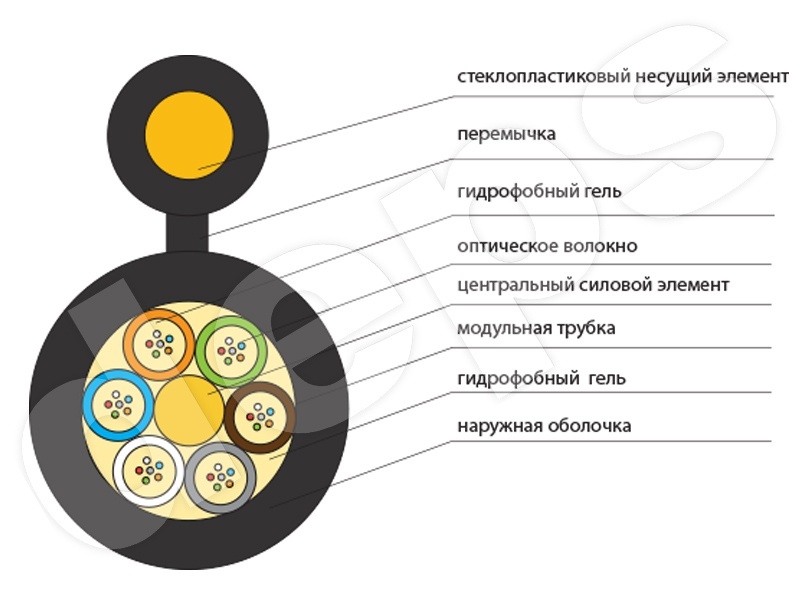 In a cable with a small amount of fibers, instead of the missing optical modules are used so-called «Fills» modules. 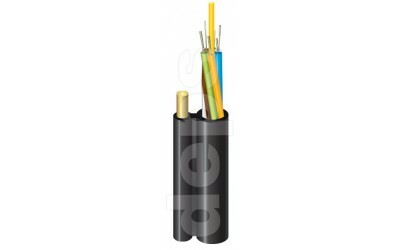 The outer sheath is made of a UV-stabilized high density polyethylene. 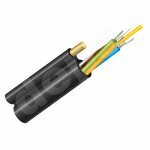 Bearing element (messenger rod) made ​​of FRP (fiberglass reinforced plastic) with a diameter of 2 mm, which provides sufficient resistance to tensile stress, low weight and the absence of any electric influences on the cable. 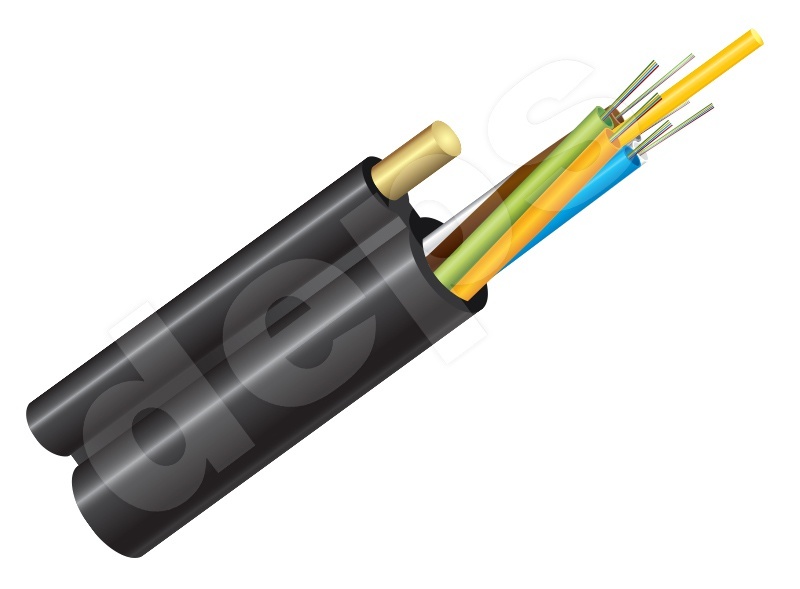 Here is used optical fiber Fujikura FutureGuide — LWP (compliance with ITU-T Recommendation G.652.D). 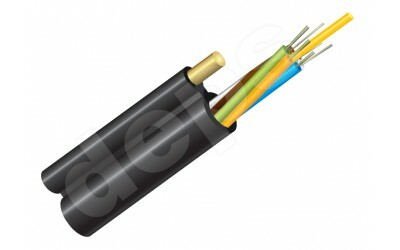 Upon request, the cable can be manufactured with another fibers (compliance with ITU-T Recommendation G.655). 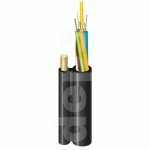 Bracket Crosver CS-88 is designed to fasten anchor clamps on the poles when self-supporting cable is suspending. Crosver CS-88 bracket body is unit-cast. 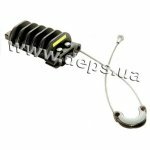 Multipurpose clamp Crosver PA 37 can fix not only traditional cables type "8" with a metal bearing element, but also small-sized ADSS cables of various designs: round, flat, like "8" with a dielectric rod. 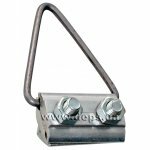 Sicame PA 35 200 tension clamp in designed for anchor fixing of cable type 8 with external bearing element (3-9 mm in diameter), or of self-supporting optical cable (SSOC) with a diameter of 3 - 9 mm under overhead laying with spans up to 60 m.